Sinister Strings is a sound design library that contains all the hard to find, tension-filled string noises you’ve been looking for. 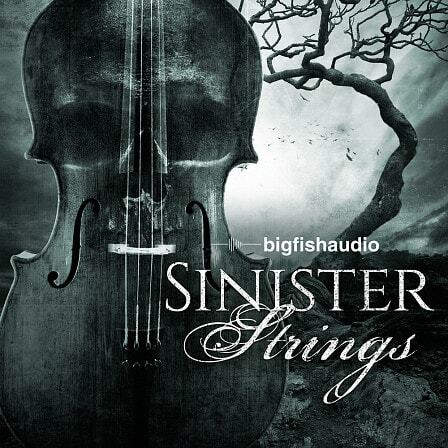 Big Fish Audio brings you an intense collection of string slide and articulation sounds that can add just the right spine-tingling effect to your cinematic production. This product includes over 650 MB of slides, bends, tremolo, sustains and more from Cello, Violin and Viola as well as group recordings making this a very useful tool to add to your library. Sinister Strings also includes a full suite of Kontakt patches that include all sample content mapped by group. For example, you will find patches such as “Cello – Slides,” “Cello – Articulations,” “Viola – Slides” etc. on their own individual patches.